For one night only, thrill seekers can enjoy a night of terror by putting a scary-good twist on their holiday celebrations at 'Christmas Nightmare,' presented by BloodShed Farms Fear Fest in Columbus! 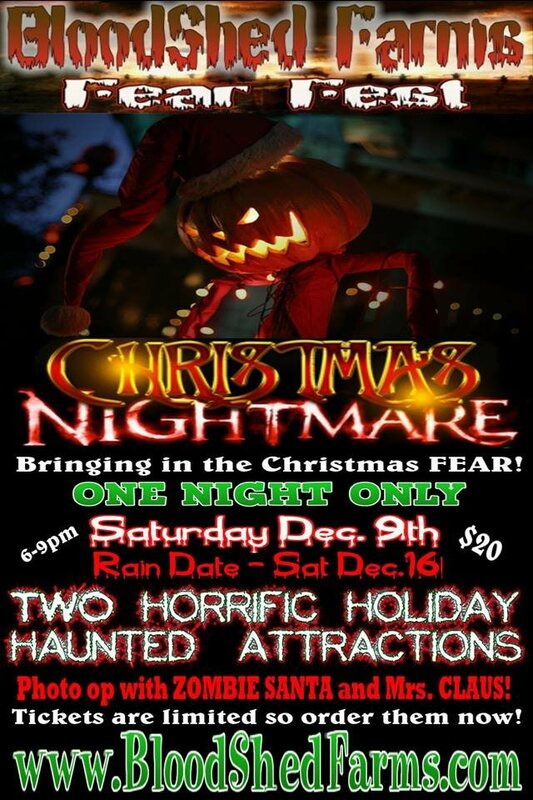 The special event will take place on Saturday, December 9th from 6-9 PM and will feature two horrifying holiday haunted attractions. Along with the attractions, visitors can enjoy a photo op with Zombie Santa and Mrs. Claus! Tickets are $20 per person & are limited for this special one night event.